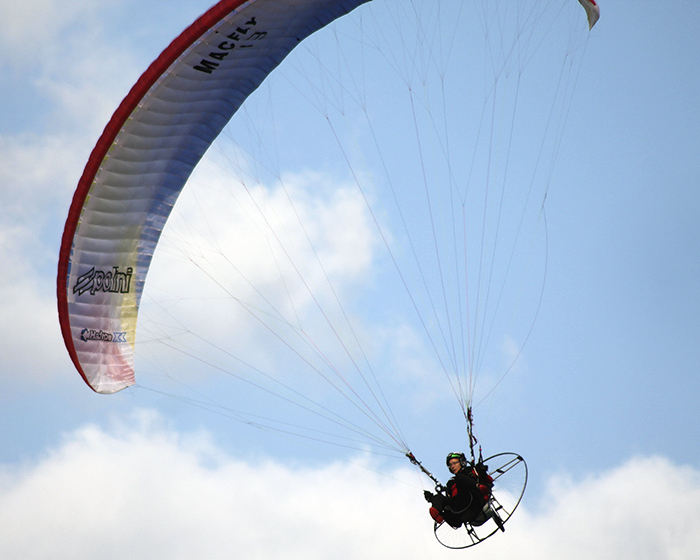 From August 19th to 26th in Breclas, village in the south-east of Czeck republic closed to the Austria border, the 6th stage of the European Paramotor Championship took placed. An appointment that not only Polini couldn’t miss but all the passionately fond of this sport, that arrived copious to assist the incredible evolution of 100 pilots coming from 13 different countries to take part to this challenge. A race different from all the other ones because the pilots have had not only to fight against the chronometer but faced 8 different tests. For Polini it has been a “Family” success in the foot-launch category and tandem-seat trike thanks to the champion Alex Mateos. 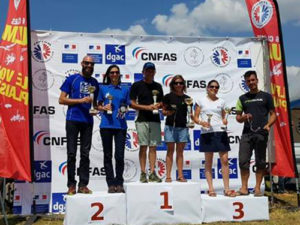 The French pilot achieved an extraordinary victory with Polini Thor 200 engine and was on the podium with his wife Marie Mateos, with Thor 200 too, second placed in a very difficult race where she was able to hold her own to more than 40 man pilots. It has been the very first time than a woman is in the Top 3. Even Mateo’s father won the race: Jean Mateos won the gold medal in the tandem trike category together with Celia Dominguez with Thor 250 engine. Other victories for Polini: in the foot-launch category, third place for the French pilot Pierre Lefebvre, while Nicola Aubert finished in 4th position, both with Polini Thor 250 engine. In the trike category beautiful win for Polish Wojciech Bogdat and third position for Francois Blanc, always both with Thor 250. Polini Motori takes this opportunity to offer its condolences to Mariusz Kozarzewsky’s family, tragically passed away during the days of the race.